The nation’s best training providers, employers and apprentices have been enshrined at the inaugural Annual Apprenticeship Awards at a glitzy gala dinner. The ceremony, attended by 500 people, was one of the highlights of this year’s AAC conference in Birmingham. The full slate of winners are listed below, and Shane Mann, the managing director of LSect, the body that runs both FE Week and the awards, was full of praise for everyone who entered. “I would like to say a huge congratulations to all of our winners,” he said. “Each is a tremendous example of the outstanding work those within the apprenticeship sector contribute. They truly deserve the recognition,” he said. 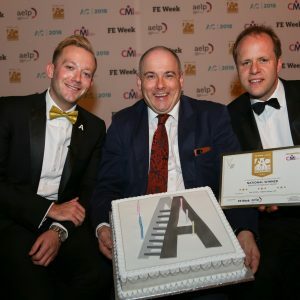 Former skills minister Robert Halfon, who is now chair of the Commons education select committee, took home this year’s ‘Special recognition’ award. 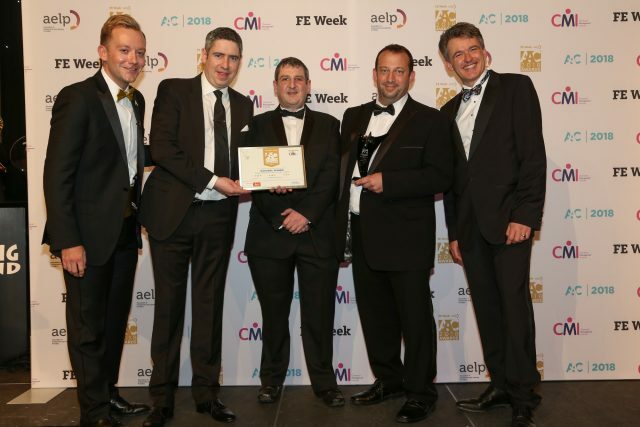 FE Week and our award partners AELP announced the shortlists in association with CMI in February. The regional winners were announced last month in Parliament. “The future for apprenticeships is bright and the awards this year and beyond illustrate why apprenticeships have become the country’s flagship skills programme and why other countries are now tapping into UK expertise and experience to build their own programmes,” said AELP boss Mark Dawe. Phil White was recognised for years of dedication to apprenticeships culminating in his role in the development of new employer-led training programmes. He started with United Utilities in 1997 as a mechanical engineer apprentice, and worked his way up to head of learning and development. The judges recognised that trailblazer apprenticeship standards “for water process technician and utilities engineering technician were only ready for delivery thanks to his unique, sustained input”. NSCG’s application covered both their annual apprenticeships marketing campaign plan and promotion activity for National Apprenticeship Week. The judges said: “They demonstrated a planned and effectively carried out a campaign, showing how teams had worked together to deliver, providing evidence of apprenticeship achievement above the national average, with data showing high rates of positive outcomes. Their activity covered a range of media, events and recruitment activity. 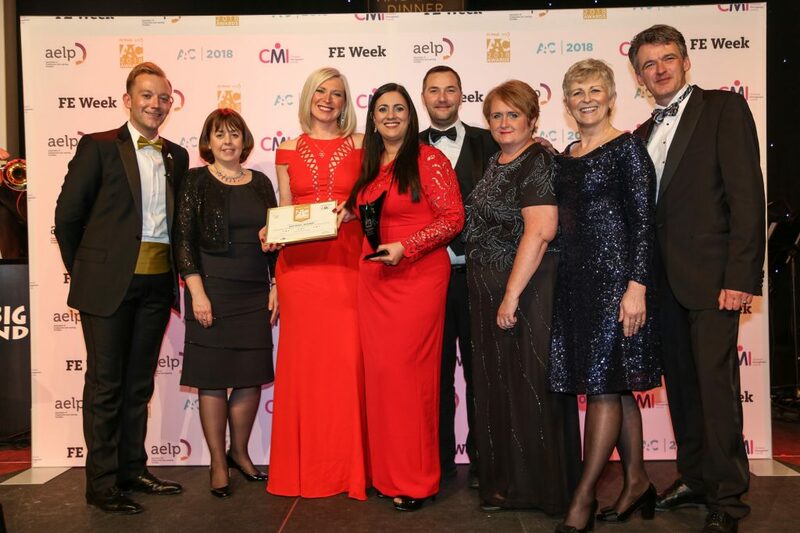 This award went to Learning Curve in recognition of its “all-encompassing” support for the roll-out of the apprenticeship levy from April last year. Their entry stressed the importance of “investment, insight and innovation”. “IT demonstrated a partnership relationship with employers to support it with the introduction of the levy, but also continuing those relationships beyond the levy, where apprenticeships were not the right avenue,” the judges said. Cumbria-based Gen2, part of the City & Guilds Group, was praised for commitment to apprenticeships across its whole business. “They provided data that demonstrated the quality of their provision, including through the employer satisfaction survey, which gave high scores, significantly above national average,” the judges said. Gloucester’s electrical specialists Clarkson Evans employs over 230 apprentices, which were recognised for being “the lifeblood” of the company. “They demonstrated how they have been extending apprenticeship opportunities, broadening the range of subjects over the last two years,” the judges said. Their training programme was actively developed “to support business growth”. It provides “exceptional support services” to learners. This provider stood out because of its special efforts to work in partnership with every customer. “It demonstrated high employer-satisfaction scores, timely achievement rates and high levels of learner satisfaction,” the judges said of Derby-based DBC Training. It designs all its apprenticeship programmes with the employer, learners and parent or carer in mind, and “continually monitors feedback throughout the programmes”. CITB was recognised for its unwavering commitment to employers. It designs its apprenticeships programmes “specifically to enable the construction industry to be as efficient and effective as possible”. “We are relentless in our efforts to improve learner retention and success rates and have sector leading achievement rates across nations,” it wrote in its entry. Judges also recognised its “well-developed recruitment and selection strategy for learners”. The London provider was credited for impressive skills training in support of the UK’s digital sector. Firebrand is “dedicated to delivering apprenticeship training to small, medium and large enterprises”. “The provider boasts 87- to 92-per-cent achievement rates for apprenticeship frameworks and a 95-per-cent retention rate for trailblazer apprenticeships, paying testament to high-quality delivery provided throughout the duration of an apprenticeship,” judges said. The judges were impressed with Babcock’s “exceptional” success rates and commitment to diversity. “Success rates are exceptional, 95 per cent timely success for 2016-17, with the bespoke technical solution delivering work-ready year three apprentices to their workplace,” they said. Impressive dedication to increasing diversity was also demonstrated, while its approach to training is “an extension of the employer’s place of work, inducting the apprentices into a work ready ethos”.